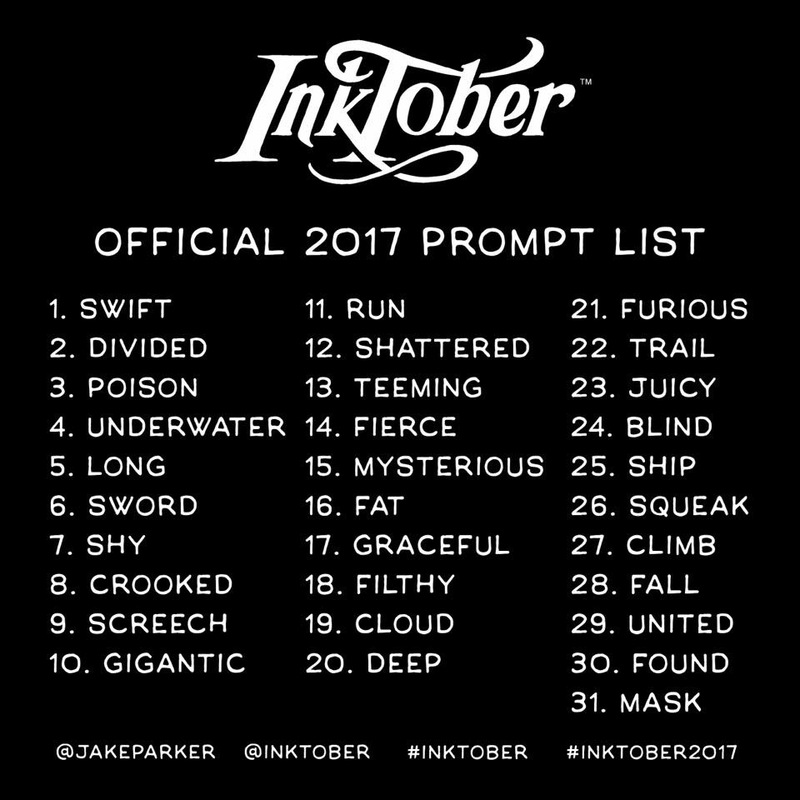 Day 26: ‘Squeak’. 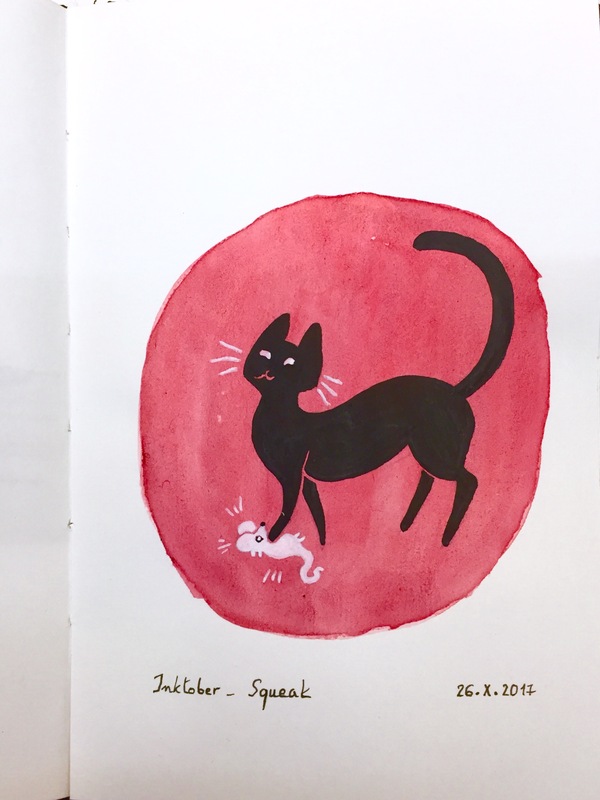 Black and white ink drawing of a cat playing with a mouse, against a circular background of red watercolour. Day 27: ‘Climb’. 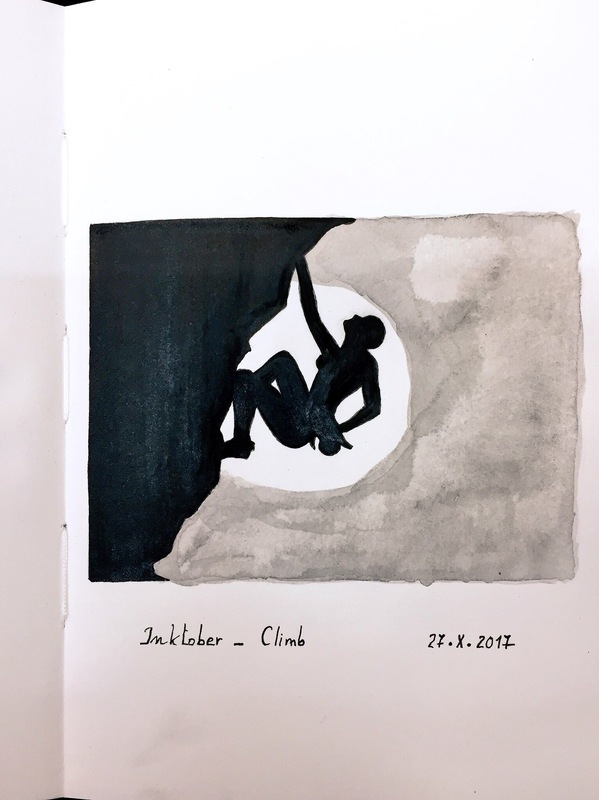 Black and grey ink drawing of the silhouette of a woman rock-climbing. 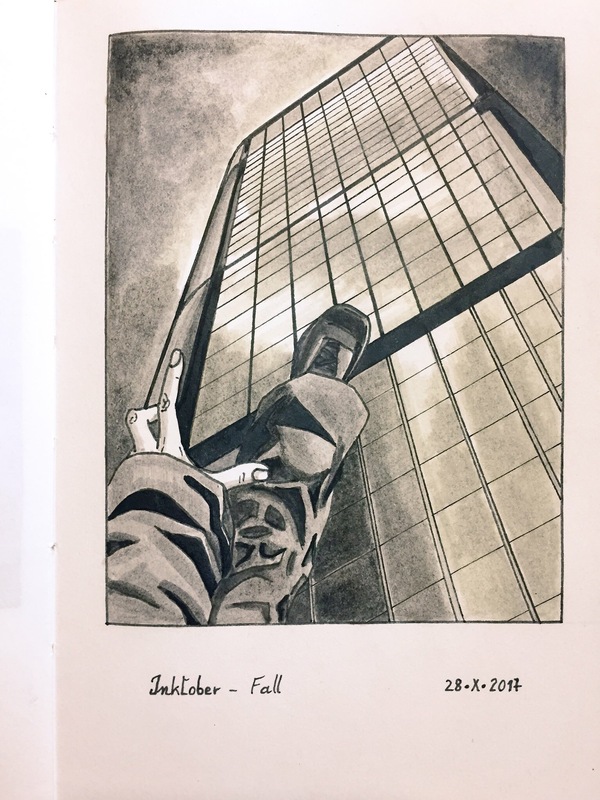 Day 28: ‘Fall’. Grey India ink soft brush pen, black ink pin pen and black ink brush pen drawing of a man falling from a skyscraper. For this one, I had to hold a soft brush pen in each hand so that the dark and light greys would blend better. I don’t know how others do it. After I posted the drawing, Emmanuel nudged me when he realised the sky scraper looked very much like the Tour de Bretagne in Nantes. Day 29: ‘United’. 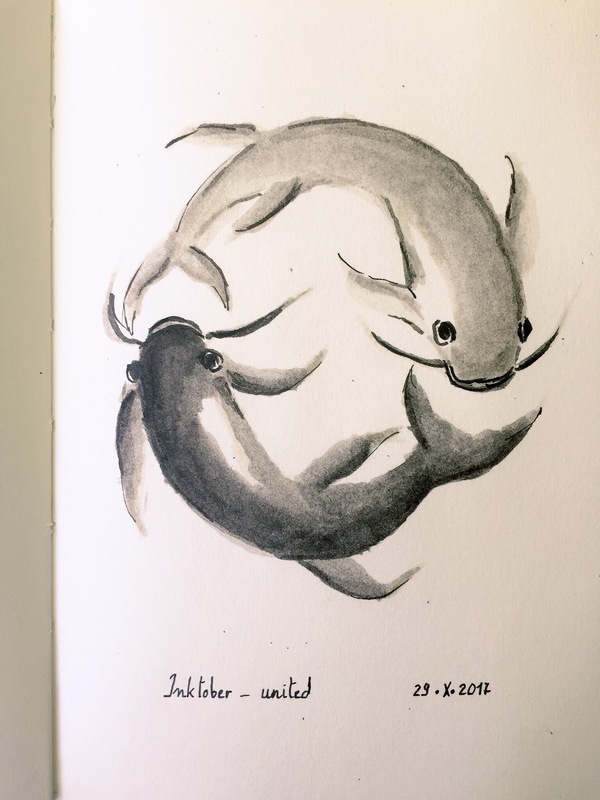 Grey India ink soft brush pen, black ink pin pen and black ink brush pen drawing of two carps, forming a circle. 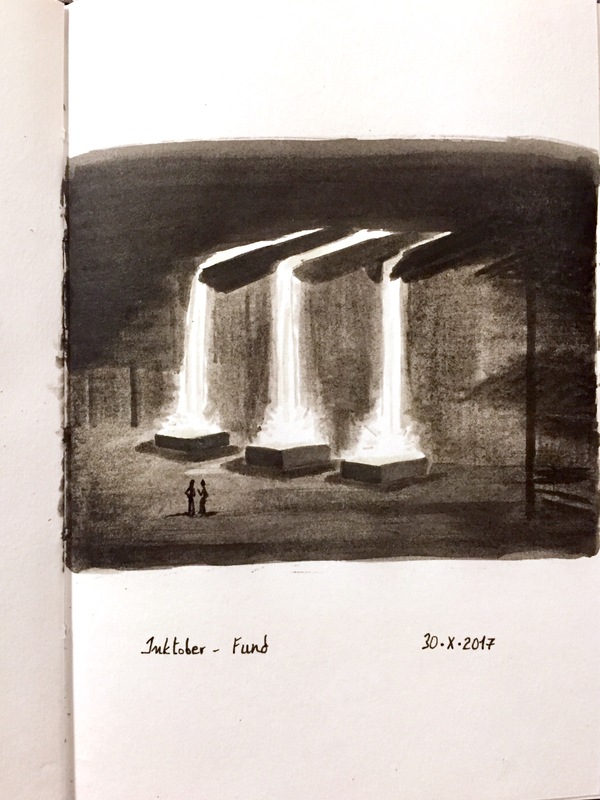 Day 30: ‘Found’. Grey India ink soft brush pens and black ink pin pen drawing of a foundry and tiny people. I made a typo in the theme on the drawing, oh well. 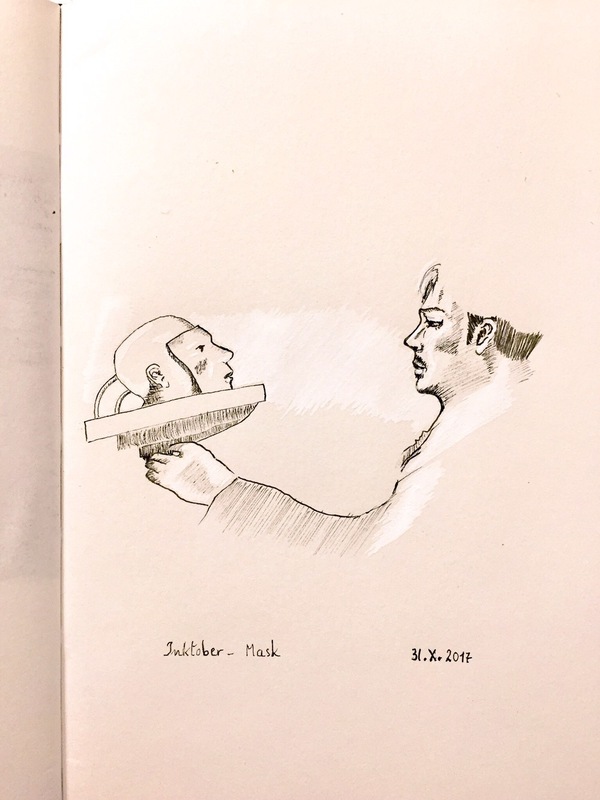 Day 31: ‘Mask’. Black ink pin pen and white Posca pen drawing of a man holding a mask.